The story of Abelard and Heloise is too well known to need repetition here, for these two rank with the few great historic lovers of the world, as well they may. 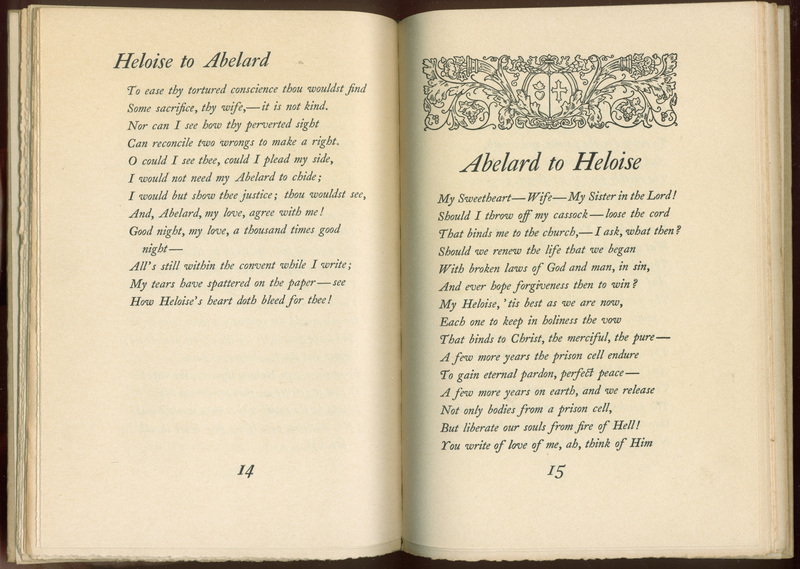 The love of Heloise was sublime in its intensity, romantic in its constancy, appealing in its pathos, and tragic in its suffering. 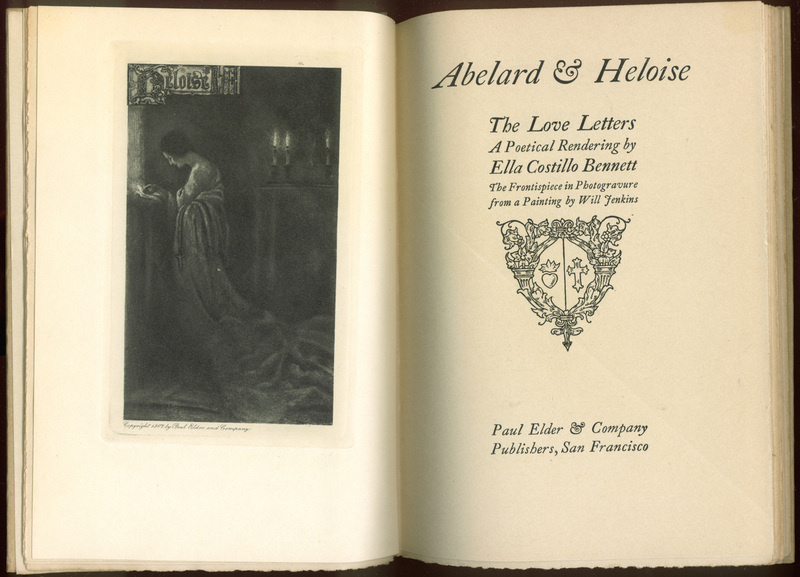 When I first picked up Abelard and Heloise, I had never heard their names before. But one hundred years ago, so Ella Costillo Bennett informs me, I would have known all about them. (I hope this reflects the great differences in literary curriculum between then and now, as opposed to my ignorance of a story that everyone knows!) Bennett has taken some of their love letters and rewritten them as poems. Pierre Abélard (1079–1142) was a medieval French scholastic philosopher, theologian, composer and preeminent logician. Héloïse d’Argenteuil (1090?–1164) was a French writer, scholar, and later a nun and abbess. Their story is certainly a captivating one: two brilliant scholars who meet, fall in love, are separated, but continue to meet in secret. She becomes pregnant and bears a son, they are married but then separated again when Héloïse is sent to a convent. (I am leaving out many details.) They begin a long correspondance, which has become the thing of legend. 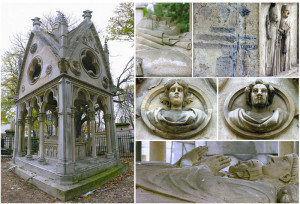 Abelard’s and Heloise’s tomb at Père Lachaise Cemetery in Paris. Even their mortal remains have become legendary. Their bodies were moved several times over the intervening centuries, most recently to Père Lachaise Cemetery in 1817 by Josephine Bonaparte. 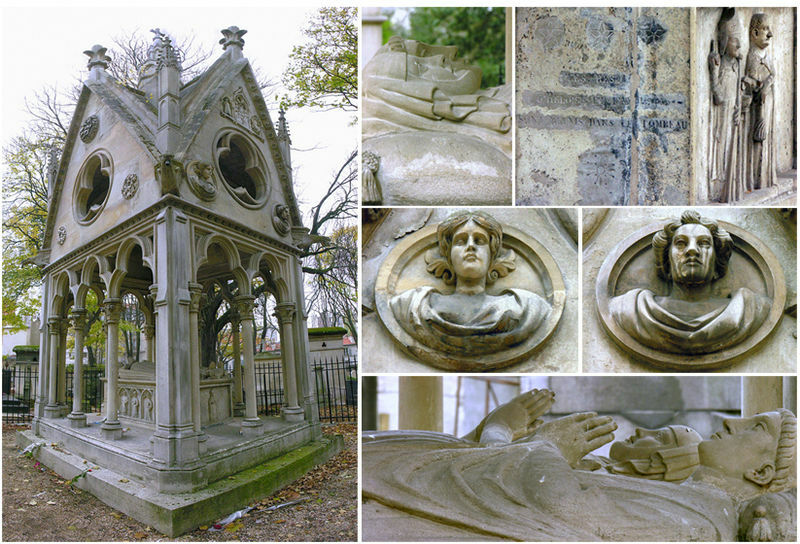 At the time, Père Lachaise was outside the dense urban area of Paris, and the reburial is thought to have considerably increased the cemetery’s popularity. It has since become tradition for lovers, or lonely singles, to leave letters at their tomb in hopes of finding true love. 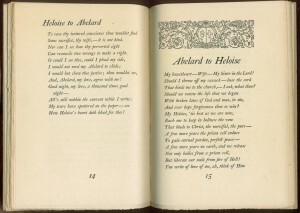 Paul Elder published Abelard and Heloise in a limited edition of 500 copies in 1907, accompanied by illustrations by Will Jenkins. He published a trade edition in 1911. 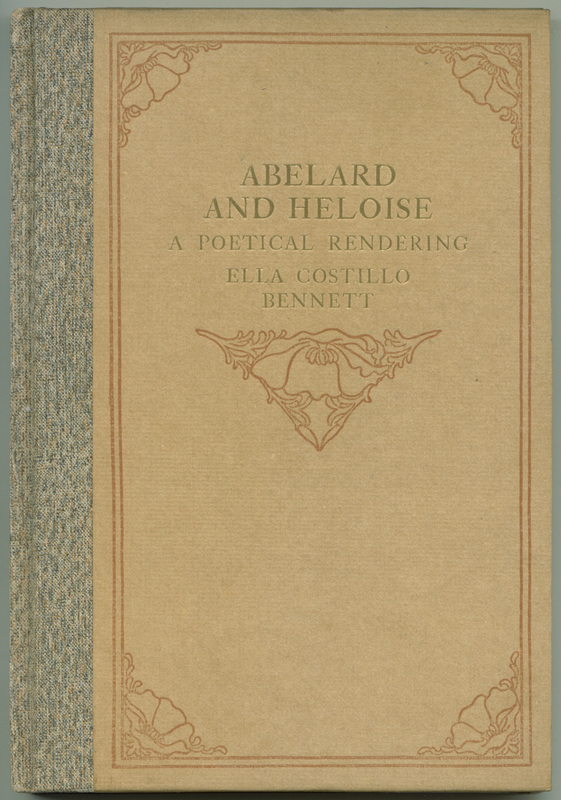 Ella Costillo Bennett (1865-1932) was a San Francisco socialite and a minor player in the local literary scene. She was a feature writer for a number of newspapers, including The Wasp and The Pacific Coast Weekly (for which she wrote “Knocks from the Iconoclast”), and an associate editor for Mythland, a children’s magazine. Much of what is known about Ella Bennett comes from a 138-page scrapbook (now at the University of Colorado at Boulder), created by her daughter Mary L. Bennett. In addition to manuscript letters, typescripts of original poetry, and published articles written by Ella, the scrapbook contains materials relating to the women’s suffrage movement and anti-war petitions. Also figuring prominently is Ella’s son Ray Raphael Bennett (1895-1957), a television and film actor.